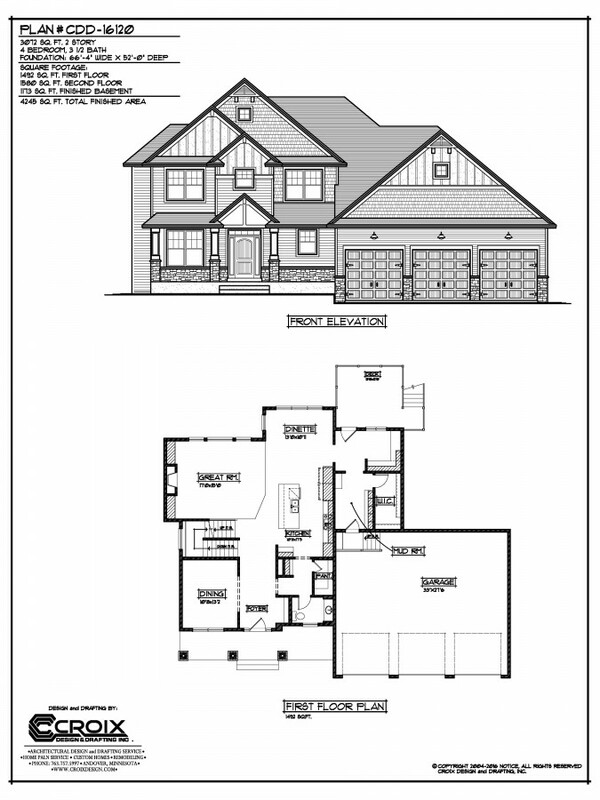 This two story plan has a grand total of 4245 sq. ft. including a 1173 sq. ft. finished basement. Across the front of the home is a covered porch leading into the Foyer. To the left of the foyer is a formal dining room. To the right is a pantry and a half bath. 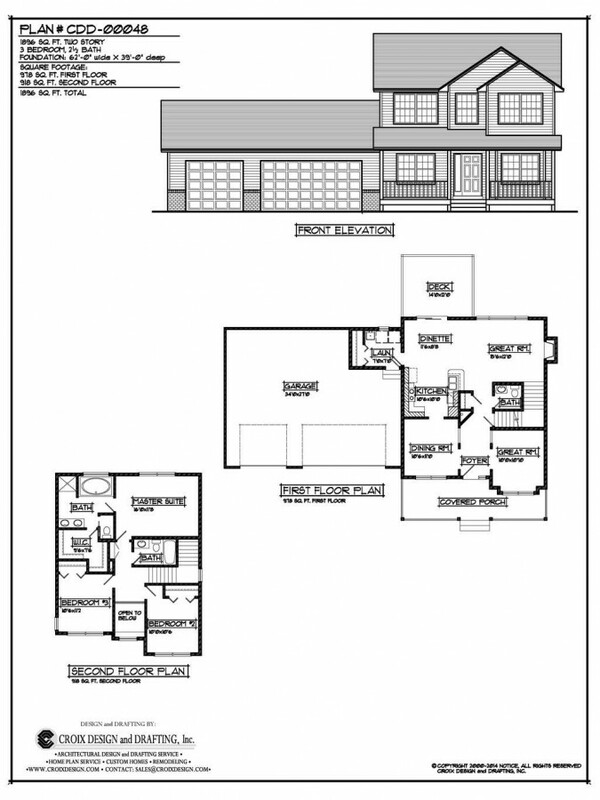 In the center of the floor plan is the kitchen and a stairway. At the back left of the plan is the great room. At the back in the center is the dinette. To the right of the kitchen is the mud room. In the back right corner is a utility space. 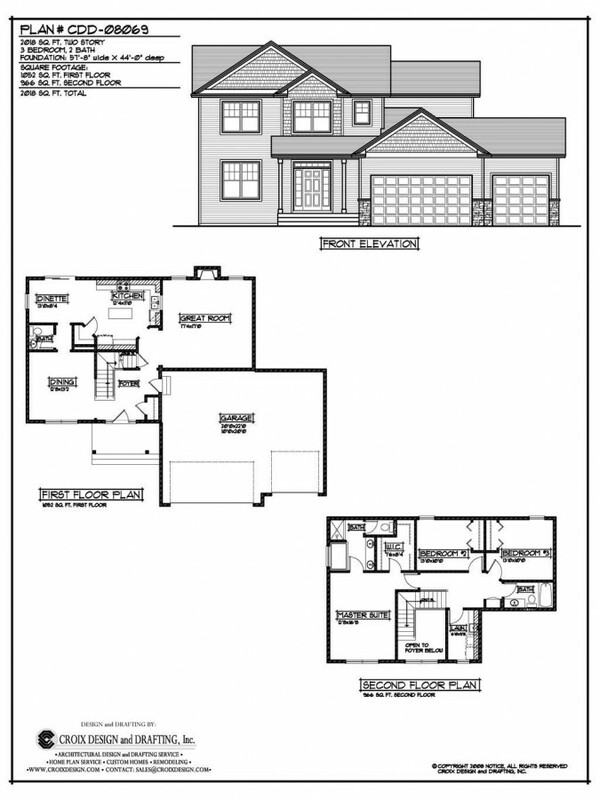 The second level is where the bedrooms and full baths are located. 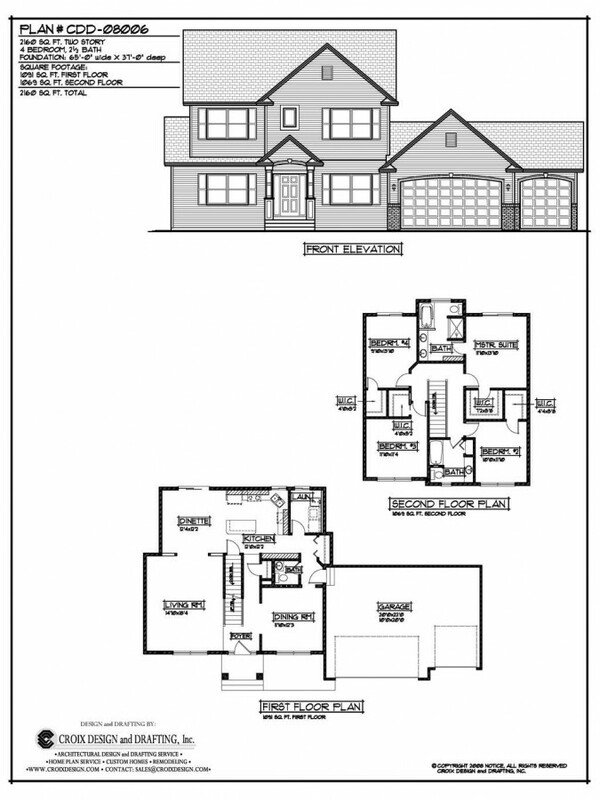 There is a Master Suite and Master Bath. Bedroom #2 has a private bath. The laundry room is also located on the second level. 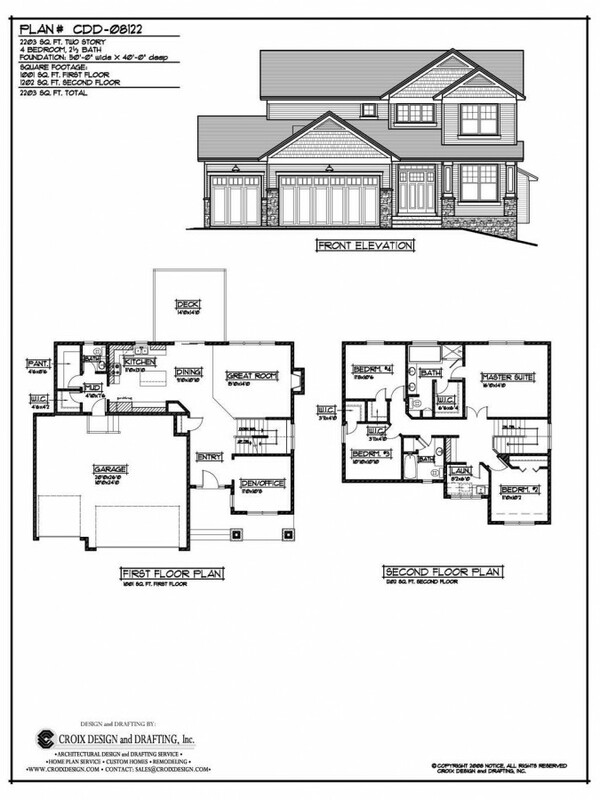 In the basement you will have a family room with a wet bar. 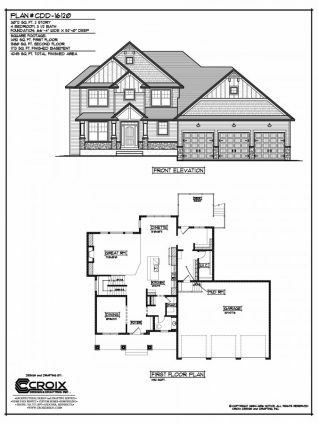 There is a fifth bedroom and a full bath located in the basement. There is also a exercise/play room located in the basement as well.